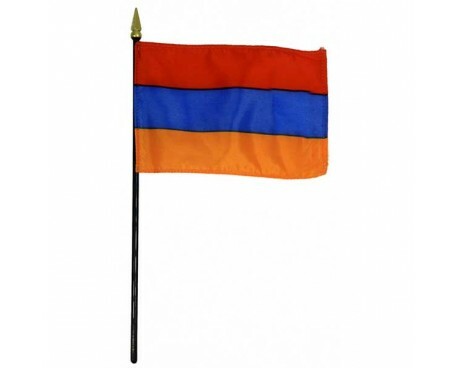 Armenia Stick Flag - 4x6"
The national flag of Armenia, the Armenian Tricolour consists of three horizontal bands of equal width, red on the top, blue in the middle, and orange (also described as "colour of apricot") on the bottom. The Armenian Supreme Soviet adopted the current flag on 24 August 1990. 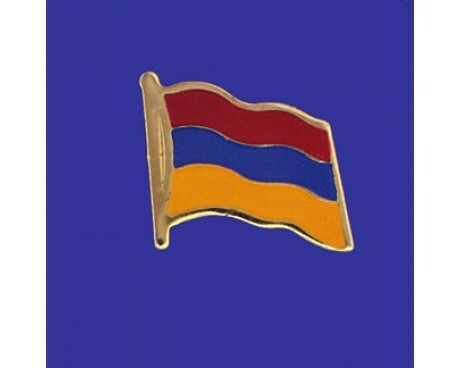 On 15 June 2006, the Law on the National Flag of Armenia, governing its usage, was passed by the National Assembly of Armenia. It is far from the first Armenia flag, and it is easy to trace the general course of the nation's history by looking at its past flags. A series of royal dynasties ruled Armenia until the modern era, and each of those dynasties has its own flag that it used to represent itself as well as the country. The first of these flags belonged to the Artaxiad dynasty, which featured two eagles with a flower between them on a red field. The Arsacid dynasty replaced it with two falcons and the sun on a blue field. The Bagratid dynasty came next, and they adopted the lion that would become the symbol of Armenia for years to come. The Armenia flag featured a red lion until the Lusignan dynasty took power and replaced with with a tricolour of red, blue, and yellow emblazoned with crossed swords and stars. Armenia eventually lost its independence, but it became an independent nation once more after the first world war. 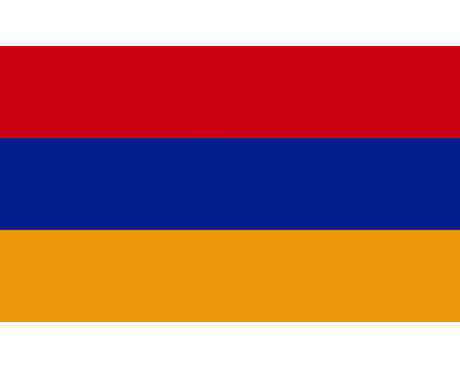 The new government needed a new flag, and it adopted a tricolour of red, blue, and orange that differs from the modern flag of Armenia only in its proportions. It used that flag for only a few years before a communist government took power and replaced it with a red and gold flag following the Soviet pattern. The communist government changed the flag four times between 1922 and 1990, when a new government adopted the country's current flag. The nation chose to define the symbolism of its flag in its constitution. 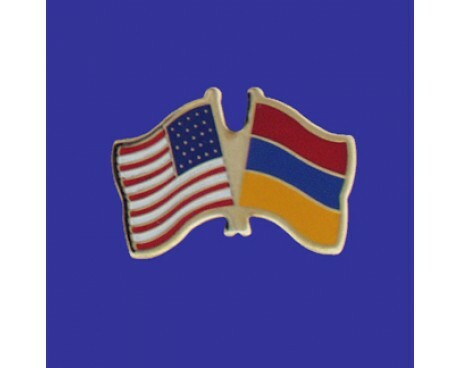 The red band represents the Armenian highland and the struggles of its people, the blue band represents the people's will to live under peaceful skies, and the orange represents the creative talent and hard-working nature of the Armenian people.